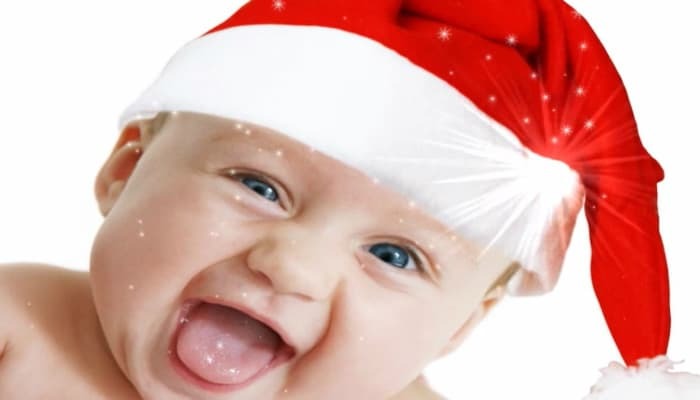 This adorable baby Christmas will be sure to melt your customer’s hearts this festive season. With his bright blue eyes and huge cheeky smile, this little one is enough to put anybody into the festive spirit and cheer them up endlessly. How could you not smile looking at this little fellah?!! His soft red felt Santa hat finishes off his cuteness! These e Christmas cards for business would work wonders with a corporate customer that deals within the baby industry or maybe a customer that simply wants to put a smile on everybody’s face! A beautiful bouncing baby boy like this, reminds us of how special Christmas is to everybody, especially the child in us all! Why not compliment this with a witty message to make your customers smile even more or a warm messages of thanks for your customers support this year. At Ecard Shack, our electronic Christmas cards for business are a sure way to impress your clients this year. With an extensive range of designs, music tracks and pre-worded messages to assist you, we are always here to offer help and guidance in any way we can. Register an account and create your own bay Christmas ecards now or however many different designs you wish to choose from. Please don’t hesitate to contact us at any time if you need us.